Ethan was born at 36 weeks. He made his arrival into this world screaming, his lungs holding up their end of the deal like I'd wished for so many nervous nights in hopes he could just make it to term. While yes, he technically came early, it wasn't early enough to consider my 8 pound, 4 ounce baby boy a typical preemie. Still, we felt the aftershock of RSV. 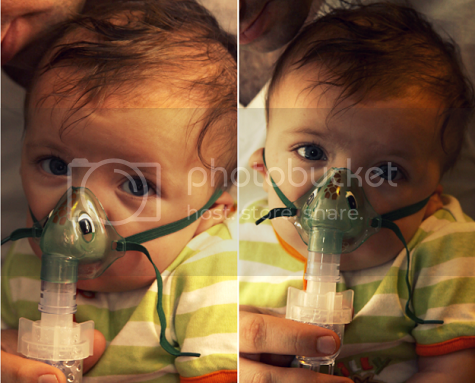 You see, RSV can affect the lungs of premature babies and, well, Ethan's lungs were affected. Very much so. So, wait. What is RSV? RSV stands for respiratory syncytial virus. It is a contagious viral disease that may infect a person's lungs and breathing passages. In older children or full-term babies, RSV can often present like a lingering cold and then dissipate after a week or two. In premature babies or those with compromised immune systems or lung issues, longterm damage can be caused by initially contracting this virus. Ethan fell into the latter category, the ones who get taunted by the disease long after it has left his system. Fast forward to a year later from the time he contracted RSV. 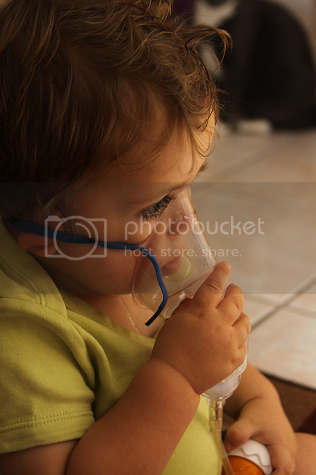 Ethan is still on one nebulizer treatment per day -- two, during cold and flu season. He still cannot so much as get the sniffles from teething without it turning into a respiratory nightmare. A cold, something so minor to so many, is a world of trouble for Ethan. A cold means nebulizer treatments every four hours, oral steroids to stop the inflammation in his airway, infection in his lungs and antibiotics, wheezing and rattling and choking on mucous. A cold means being stuck in the house for two weeks, listening to my son breathe like Darth Vader over the baby monitor and anxiety and hurt swelling in my stomach. At times, it's hard to feel thankful. 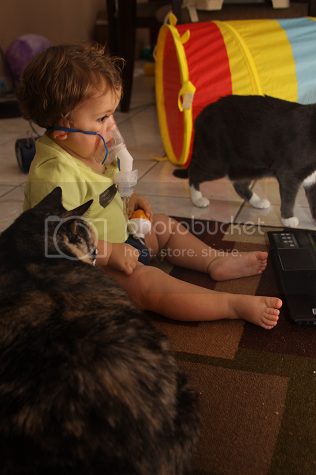 I recently participated in a 24 hour Blog-A-Thon in which I raised almost $800 for the Global Links Nebulizer Campaign. It was an eye-opening experience, making me realize how fortunate I am to have the medical care to ensure Ethan wasn't one of the 4,500 per year who dies from RSV. It made our in-home nebulizer look more like a luxury than a burden. Maybe the silver lining to all of this is that now Thanksgiving has a whole new meaning. Whether you're a parent or not, I wanted to take this space today to share some ways on how to help prevent RSV. There is no cure for RSV. There is no magical miraculous song and dance or chant you can perform to ensure your child won't catch it or that it won't wreak havoc on their little lungs. (Trust me. I have tried everything.) But prevention when properly executed can be a gift enough to those premature babies or those with compromised immune systems that just need a little support in their corner. Wash your hands before touching your baby and ask everyone to do the same. Don't feel embarrassed to tell people that you're concerned about RSV or your child contracting an illness. Don't feel awkward telling someone to not stick their fingers in your child's mouth. (If I had a dollar for every time someone did that to Ethan and my husband felt too uncomfortable to say anything...) Don't feel like you're being standoffish or argumentative or a "germ freak." Germs are real. Germs can be dangerous. Germs can mean your child's respiratory system completely thrown for a wild ride that they don't at all deserve. While there is no surefire way to completely prevent the wrong germs from infiltrating your little one's system, it doesn't hurt to try your hand at prevention! Don't let anyone smoke in your home or around your baby. I'm allergic to cigarette smoke. As in, don't be surprised my nasal passages start spewing blood if I get too much a whiff of cigarette smoke. That said, I've lived enough of my life with this allergy to detest the smell of smoke on it's own, but realizing that cigarette smoke can instantaneously cause damage to my baby's respiratory system really stepped up my feelings a whole lot of notches. Post-RSV, there has been a time or two I've had to turn around and leave Target before I could pass through the doors because Ethan breathed in a whiff of someone's smoke as they sat on a bench out front of the store smoking and instead of it being time to shop, it was time for a breathing treatment. No, you can't tell people not to smoke, but you can tell them they're not able to smoke or bring the smell of smoke near your child. Wash your baby's clothes, toys and bedding often. 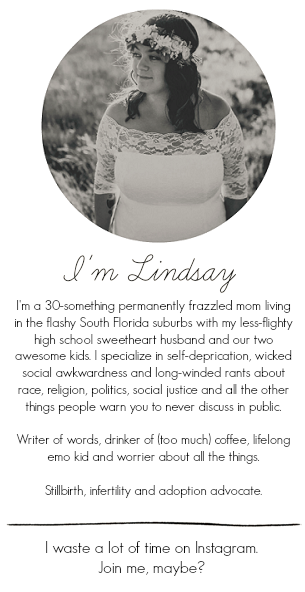 Sterilizing and sanitizing doesn't make you weird. I promise. Take it from someone with a toddler who absolutely loves rubbing on hand sanitizer. RSV isn't one of those happens once and it's over illnesses. Nope. It's a virus, one your child can catch again and again. Watching what Ethan goes through when he has simply a minor cold, I couldn't even imagine facing the virus again. Spread awareness. Spread understanding. Spread compassion. Spread anything but germs. This National RSV Awareness Day hits extra hard. It marks one year since those three little letters entered my son's world. All I can do is hope for peace and love for the families who have lost children to this virus and to premature or high-risk infants born everywhere in hopes these three letters never cross their path. Find out when RSV season starts and ends in your state and learn more about the disease. Knowledge is power, after all. i had heard of rsv, but didn't know a lot of details about it... now i feel much more informed. i volunteer with the babies at church on sunday and i can't get over how many people bring their kids when they have gross, snotty noses. its terrible! Right? So terrible. :( I guess the conclusion I've come to is so many people don't truly understand unless they've gone through something awful from it. Ahhh! This article gave me a twinge of anxiety. At 1 year old, my sweet little girl has had more colds than I can remember! A horrible feeling when my 3 year old hadn't even been sick once at this point. 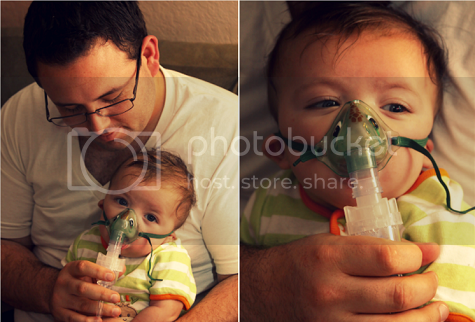 Seeing the pictures of your son with the breathing treatment mask brought a tear to my eye. I'm so sorry he has to live with this :( I will definitely live more wisely now when it comes to colds. Thank you for that! So strange -- it says it's off, but I just cleared all the settings and tried it again. Any better? I'm a little embarrassed to admit I've never actually heard of RSV. Definitely an eye opening post! Flu season must be a really stressful time for you, I know I get cranky/worried enough when my son is around other kids who haven't been kept home when obviously sick, I can only imagine what it would be like if he had RSV. Hope your little man stays healthy this winter.